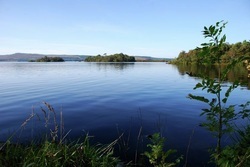 There are very many loughs (lakes) in County Donegal and here we have listed some of them. These will be added to as we photograph more loughs. Many of our loughs can be fished and so this information is added where appropriate. Click on the links below for more details, location and photographs of a lough (lake).